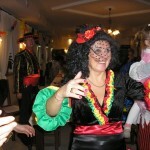 Winter in the fuesthouse is full of traditional dances. In December there is New Year’s Eve, in January we organize hunters ball and in February masquerade. It takes place on 31.12. and there is also ruffle and fireworks over the pond. It takes place on 2-nd or 3-rd Saturday in January. In 2012 it was the 18-th ball in the row. 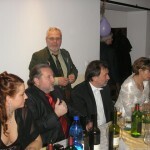 The ball is organized in cooperation with the local hunting association Falco in Veľká Paka. Because of great interest it is necessary to buy tickets early in the beginning of December. There is a rich raffle and meals exclusively from wild animals. The musis is live around 3-4 musicians. Masquerade is held traditionally on last Saturday in February. In 2012 it was the 2nd year. Participation are required to wear masks. There is also competition about the 3 most beautiful masks and the winners receive attractive prices.